Like the FS5103B, the FS5103B-FB works with standard RC servo pulses, providing a running angle of approximately 180Â° over a servo pulse range of 600 Âµs to 2400 Âµs. The feedback voltage varies linearly over this range, and there is approximately a 1:1 correspondence between the feedback in millivolts and the servo position in milliseconds. For example, the feedback voltage will be around 1.5 V when the servo output is at the position corresponding to 1.5 ms. 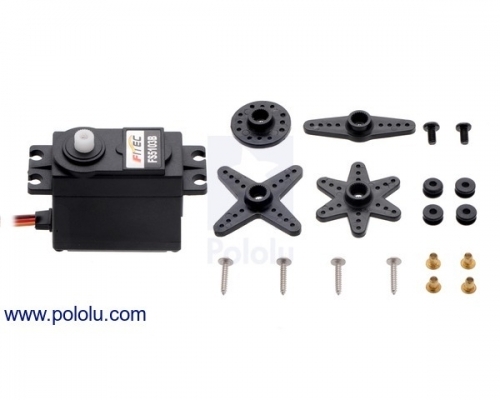 The servo signal, power, and ground are provided through a 3-wire servo cable that is terminated with a standard JR-style connector, which is Futaba-compatible. 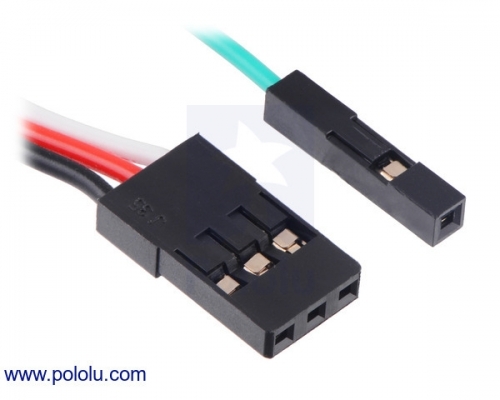 The feedback is accessible through a separate green wire that is terminated like our female premium jumper wires and works with standard 0.1â€³ male header pins. These cables are approximately 12â€³ (30 cm) long. 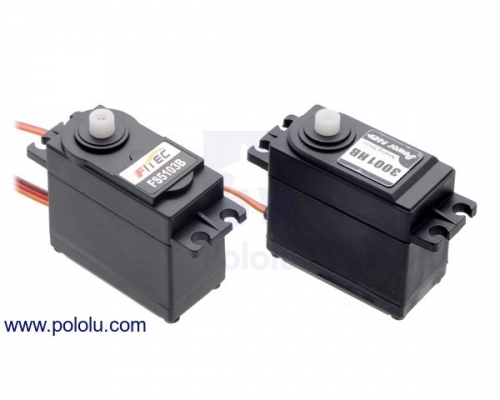 For more information about this servo, see the FS5013B datasheet (133k pdf) (please note that this is the datasheet for the standard FS5103B, so it does not include any information about the special feedback modification).